Need help building that new piece of furniture? Need a handyman to fix something broken in your home? Looking for someone to help you out with odd jobs around your home or office? Our local handymen are near you and are prepared to assist you with your home repairs and other handyman tasks around your home. 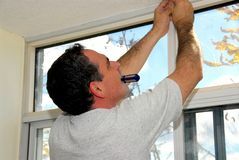 If you take pride in your home and you care about your property maintenance needs, than you know that some home repairs need the touch of an expert. Prosco has tradesmen who are can assist you with a myriad of projects. Our local handyman services are available in your neighborhood, as our technicians can assist you with any home project that you have, be it big or small. If you live down south or you’re located on the East coast and you are looking for a handyman near you, we can reach you promptly and help you out. Our tradesmen are located throughout the country and can service your local handyman needs quickly. Our handymen are background checked and have all the tools needed to assist you with any task. We have a 90 day guarantee on all our home maintenance services. Homes are for living in, which is why both inside and outside our homes, things are always breaking. Many Americans don’t have the time, skills, or even the tools necessary to complete even basic home maintenance jobs in their homes. If you are not a natural fix-it guy or you are very busy and would like some assistance with your furniture repairs, home repairs, or help building a bookcase, our handymen are here to help you out. To schedule a service visit from one of our handymen, contact Prosco today!